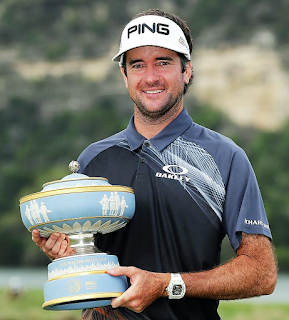 After defeating Justin Thomas, 3 and 2, to advance to the final, Bubba Watson cruised to a 7 and 6 victory over Kevin Kisner to claim his 11th career US PGA Tour victory and second World Golf Championships title (2015 WGC-HSBC Champions). Left-hander Watson took control of the match by winning the first five holes, despite just one birdie (No. 1) in that stretch. He won Nos. 2-4 with pars and then the par-4 fifth hole when Kisner conceded. Kisner did not win a hole until No. 11, moving from 7 down to 6 down with seven holes remaining, but a birdie by Watson on the par-5 12th hole closed out the match 7 and 6.